New York (AFP) – Jared Kushner, Donald Trump’s baby-faced son-in-law and incoming special advisor, is poised to become one of the most powerful men in the country, a calming and respected influence on the president. Celebrating his 36th birthday on Tuesday, the clean-cut, impeccably polite and discreet grandson of Holocaust survivors married to Trump’s eldest daughter has been credited with working tirelessly behind the scenes to mastermind his father-in-law’s shock victory. A multi-millionaire property developer and publisher, Kushner married Trump’s eldest daughter Ivanka in 2009. The couple, who have three young children, will now swap their status as a Manhattan power couple enmeshed in the business world for a life of politics in Washington. 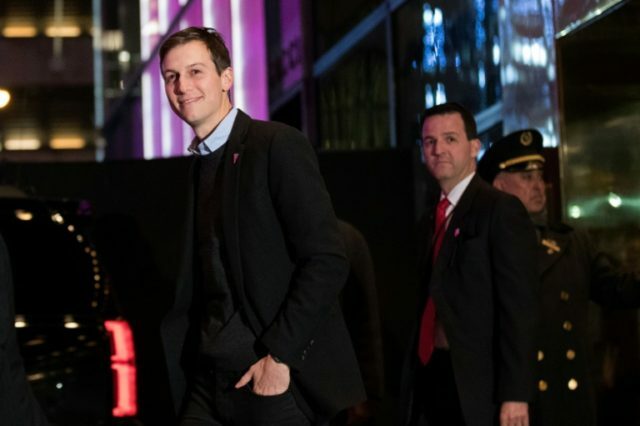 The scion of an Orthodox Jewish family from New Jersey who previously donated to Democratic politicians, Kushner has spoken of undergoing a shift after seeing his father-in-law’s groundswell of support, unflinchingly defending him against alleged racism and anti-Semitism. “People in the political world try to put you into different buckets based on what exists. I think Trump’s creating his own bucket — a blend of what works and eliminating what doesn’t work,” he told Forbes. But while Trump’s penchant for publicity, rows and controversy are legendary, Kushner is a stark contrast in social media silence, appearing only in smiling family photographs posted by his wife, who converted to Judaism before their lavish society wedding. He was reportedly instrumental in personnel decisions, such as demoting scandal-dogged Chris Christie — the former prosecutor who jailed his father for tax evasion — and Trump’s selection of a fervent advocate of Jewish settlements as US ambassador to Israel. Such is his influence that the New York Times reported that the outgoing White House was told that foreign policy matters that need to be brought to Trump’s attention should be relayed through Kushner.